In the late 90's, the blue eyed, 5'10" Urban battled a vicious addiction to cocaine. After reaching a personal rock bottom in 1998, he became determined to give up the habit and checked into Cumberland Heights, a treatment center in Nashville. After cleaning up his act, Urban released his self-titled American debut in 2000, achieving three top 5 hits and securing the title of Top New Male Vocalist Award at the 2001 Academy of Country Music Awards. 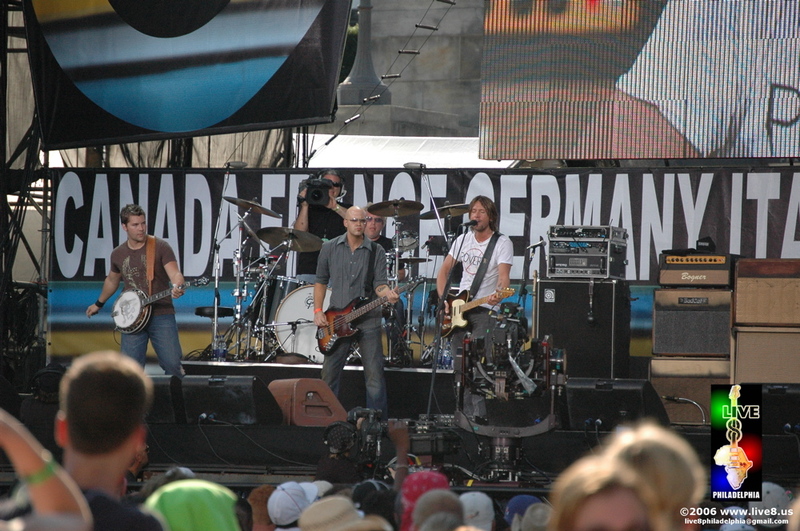 Keith, openly regarded as a modern day guitar virtuoso, has performed as a session musician on albums such as Garth Brooks' Double Live and Dixie Chicks' Fly. Urban released Golden Road in 2002 and the success of the single Somebody Like You sent his career into high gear. The single spent eight consecutive weeks at the top of the charts, remaining at #1 longer than any other country artist in 2002. Three other singles were released, two went to #1 and the third was #3. The album went platinum in every country where it has been released and is triple platinum in the U.S. In 2004 Be Here was released and nominated for best country album at the Grammy Awards and at the Academy of Country Music Awards. Out of the four singles released from "Be Here" three went to #1 and the fourth was #2. In 2006 the album went triple platinum in the U.S. Urban has also released Days Go By, a greatest hits collection, in Europe. His second single "It's a Love Thing" off his self-titled debut only went to #18 on the charts 2000. Since then 11 singles have been released and everyone of them has made it into the top 4. (career total of 13 singles released - Seven singles went to #1, one went to #18, one went to #4, two went to #3 and two went to #2). Touring as a supporting act for renowned country acts Brooks and Dunn and Kenny Chesney honed Urban's skills and stage-craft. Country video channel CMT signed on as the title sponsor of Keith Urban's first headlining arena tour titled Keith Urban Be Here '04. Urban continued his meteoric rise to fame in 2005 with the very successful Alive in '05 tour. He performed in the Live 8 Philadelphia concert on July 2nd 2005 and has been chosen by The Gap to appear alongside seven other bright musical stars in their "Favorites" campaign, and he was named CMA's Entertainer of the Year. He released a DVD in late September entitled Livin' Right Now, recorded in California. 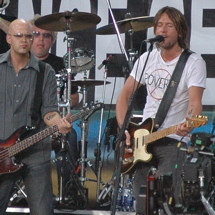 Keith Urban has recently performed "Better Life" on the CMA Awards and "You'll Think of Me" on the American Music Awards. He also performed at the Grammys playing "You'll Think of Me" and "The Lucky One" with Faith Hill. Keith Lionel Urban (born 26 October 1967 in Whangarei, North Island, New Zealand) is a New Zealand-Australian country singer, prominent in both countries as well as in North America. Keith Urban was born Keith Lionel Urbahn on October 26 1967, Keith spent his early years in New Zealand, before moving to Australia and then relocating to Nashville. By age seven, Urban was already thinking about coming to America and making his mark in Nashville, Tennessee. Urban began to learn the guitar at age 6 and began winning talent contests at age 8. By twelve, he was booking his band in local clubs, and at fifteen, he quit school to hit the road. In 1990, Urban signed with EMI in Australia and recorded his first solo album, which charted four No. 1 country hits in Australia. In 1992, Urban moved to Nashville to pursue the largest country music market in the world. Originally the front man for The Ranch, a three-piece group that released one album in 1997 to critical acclaim, Urban disbanded the group to pursue a solo career.